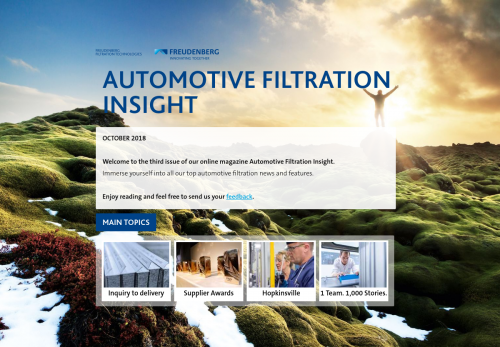 Welcome to the third issue of our online magazine Automotive Filtration Insight. Immerse yourself into all our top automotive filtration news and features. Enjoy reading and feel free to send us your feedback.